International Journal of Research in Health Sciences,2015,3,2,361-363. 1,2,4-Junior Resident. 3-Assistant Professor. 5-Professor, Department of Surgery, Regional Institute of Medical Sciences, Imphal, INDIA. Lymphangiomas are rare, benign, hamartomatous congenital malformations of the lymphatic system that may involve any part of the body. Retroperitoneal lymphangiomas account for less than 1% of cases which may present as a palpable abdominal mass and can cause diagnostic dilemma with other retroperitoneal cystic tumors, including those arising from the liver, kidney and pancreas. Due to rarity and difficulties in diagnosing preoperatively case has been reported. 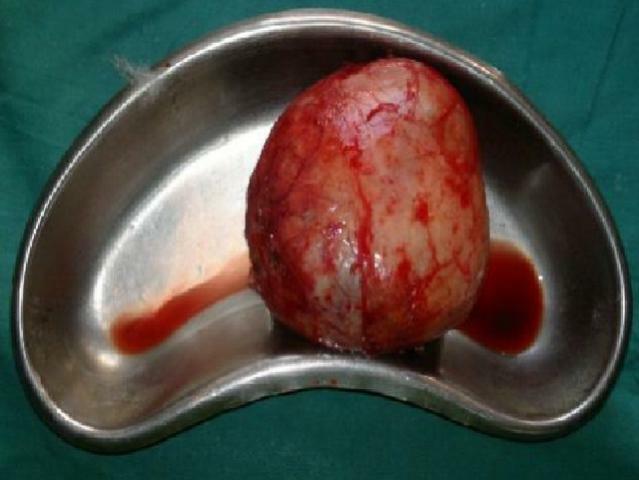 Gross specimen of retroperitoneal lymphangioma.